AUDIT AND ASSURANCE SERVICES THAT ARE INDEPENDENT, UNBIASED AND EXPERIENCED. Our experienced professionals provide timely, accurate and comprehensive audit and assurance services to a variety of privately held companies in various industries as well as nonprofits, governmental entities and employee benefit plans. We understand how essential audited financial statements are, not only to the organization itself but to lenders, owners, shareholders, boards of directors, investors and other stakeholders. We provide the assurance on the reliability of the financial information these organizations report to their key stakeholders in order to bring the highest level of credibility to an organization’s financials. As your audit professionals, we work with you to improve your overall financial reporting processes. Before we begin the audit process, we strive to truly understand every aspect of your business as well as the risks it faces – then we target our efforts on what matters most. We supply our clients with the assurance that their financial reports are materially correct and compliant. In addition, our clients derive value from our reported observations of their internal controls, systems and operations gleaned from our audit process. If you’re preparing for a financial statement audit on your company, there are things you should know before the process begins. Download this eBook and avoid surprises. Are you thinking about selling your business to a third party? Ensure you're informed about all the different variables that go into it. Agreed-upon procedures engagements are those resulting from a request that certain procedures be performed by an external accountant who lends credibility to the results of tests, evaluations and procedures on specific elements or accounts. Prior to performing the engagement, SVA works very closely with all parties to understand the procedures desired, the extent of testing required and the purpose for which the engagement was requested. A report detailing the findings is prepared and delivered. As an unbiased party, SVA provides no opinion or certification regarding the results. A compliance audit is risk protection for the organization. This audit is designed to be a comprehensive review of whether an organization is adhering to applicable regulatory guidelines for their industry and/or rules laid down in a contract or agreement between the organization and other parties. Excluding specific exceptions, federal law requires employee benefit plans with 100 or more participants (ERISA defined) to have audited financial statements included with the Form 5500 filing. Smaller plans may also require an audit if the plan does not meet certain conditions exempting it from the audit requirement. Our auditors understand the complexities of employee benefit plans and can focus on the important issues, providing valuable guidance to you as plan sponsor. Single audits are specialized, tailored compliance audits for organizations that receive certain levels of federal and/or state grant awards. These audits ensure that government funds are being used for their intended purposes and vary in complexity depending on the level of grant funding the organization receives and the programs funded. 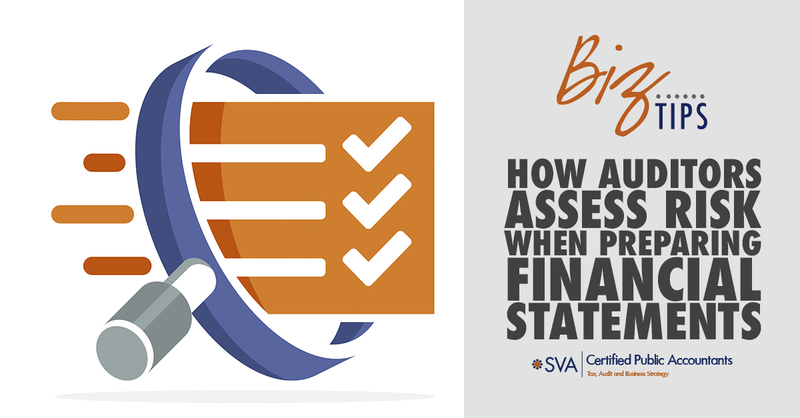 SVA utilizes its extensive experience in working with federal and state-funded organizations to help with the requirements of these special compliance audits. Audits offer the highest level of assurance to outside sources and third parties on financial statements and financial statement elements. They include an in-depth examination and confirmation of account balances, inventories and a sample of transactions. Examinations provide a similar level of assurance as financial statements audits. However this assurance is on the reasonableness of particular management assertions. Examples of these types of engagements include financial forecasts and compliance with laws and regulations. Reviews offer limited assurance to outside sources and third parties on financial statements and financial statement elements. They involve a tailored combination of management inquiries and analytical reviews of financial information to identify any items requiring further investigation. Compilations and preparation engagements offer no assurance but do provide management with a formal set of financial statements for the organization and generally are used when bookkeeping assistance is required. Compilations include a formal accountant’s report and are often used for external reporting while preparation engagements typically exclude a formal report and are often intended for internal use. Organizations often encounter complexities that create uncertainty, which makes decisions about next steps difficult. Through our guided discovery process, SVA can help you discover the situation, identify business problems, assess alternatives and propose solutions to keep your organization moving forward. An internal audit has evolved from a compliance-based function focusing primarily on detection to a strategic solution valued by executives and board members. Acting on the growing importance of this strategic management tool, SVA can help. By using your internal audit function, our experts help you build a competitive advantage focusing on and improving your current risk management practices, control systems and governance processes. We provide a variety of reviews and assessments as well as full access to reliable, highly-qualified in-house staff so your organization can use its resources in the way they were intended. Your organization faces increased demands to develop and maintain a systematic and powerful set of internal controls. And given the growing complexity of regulatory and legal demands, business owners, organization executives, service organizations and governing bodies are hard pressed to keep current with the latest compliance requirements. SVA assurance professionals help make sure your management assessment tools keep pace. We study your processes and make sure they are compliant with applicable laws and regulations. We advise you on current standards and methods of effective internal control. Understanding your financial statements helps you pinpoint how and where your organization is making money and creating cash flow. SVA professionals can help you transform raw numbers into management tools that allow you to make informed management decisions. With clear metrics and historical data to help you make informed judgments, you receive a three-dimensional picture of your position in the industry. Your financials are presented in a format that reveals trends and implications in easy-to-understand terms. We also provide competitive data to give you insight into what’s happening in your external environment. Fulfilling corporate governance responsibilities in today’s ever-changing and complex business environment is a serious challenge. Utilizing a top-down, risk-based approach, we streamline the SOX compliance effort, eliminating excessive time investments, personnel resources and dollars on this annual compliance need. Sustainable SOX compliance assistance is provided via complete project outsourcing down to limited control testing efforts. 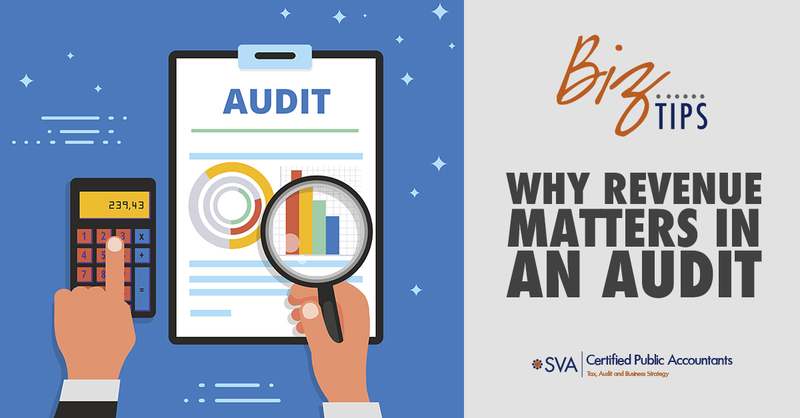 Because our SOX compliance service professionals at SVA are practicing CPAs and external auditors, fellow external auditors usually place greater reliance on our work, thereby potentially decreasing the overall external audit effort. A SOC report is designed to provide assurance for third-party service organizations who are expected to have appropriate internal controls and safeguards in place when it comes to hosting, processing or accounting for their customers’ data and assets. Potential customers requiring you to provide a SOC report are becoming more common as internal control compliance issues are at risk when critical services are outsourced to a third party. Financial audits are most often required by a third party — a bank when seeking a loan, a government agency providing funding, or as a requirement for a grant application. As an independent audit team, we assist an organization’s staff accounting team with preparation and/or review of supporting schedules and documentation that an auditor may request to support financial statements amounts and disclosures as well as organization compliance. Often, provisions of laws, regulations, contracts, grant agreements or policies require that an audit be conducted in accordance with Generally Accepted Government Auditing Standards (GAGAS), aka “Yellow Book”. Certain organizations that receive federal financial aid must submit reports and financial statements that have been audited by a CPA under the “Yellow Book” standards. The threshold for this varies depending on the grantor's requirements and/or the type of entity involved. In addition, other reporting requirements may stipulate that these standards be followed as well. "SVA provides proactive sound financial and business advice. They help me gauge what we are doing well, what we can do better, and they develop strategies to guide my company into the future." "We were fortunate to partner with SVA. Without their guidance, we would not be in the position we are today – the largest endodontics practice in Madison." "We specialize in affordable housing and SVA is a leader in tax credit knowledge. Having SVA as a partner is integral to our success." "SVA provides our accounting and back office functions including bill paying, account reconciliations, and compensation calculations. They also been instrumental in strategic planning for business growth and infrastructure development. " "Working with SVA gives us one less thing to worry about. They helped us cut our overhead by 6.5% and created effective business processes allowing us to focus on the core of our business- taking care of our patients." "We rely on SVA’s forward-thinking approach. With their assistance, we restructured our business creating tax and cost savings." "We rely on SVA’s technical expertise and practical advice to help us navigate the complex issues involved in the real estate business." "Our bank recommended SVA and we have never looked back. SVA doesn’t always tell us what we want to hear, they provide the advice we need to grow our business." "SVA provides top to bottom care by being hands on and thorough. Whatever our need, they respond quickly and efficiently. They helped us reduce our overhead by 6%." "SVA’s valuation of our company and their expertise in loan structuring was instrumental in maximizing the tax benefits as we transitioned ownership." "SVA provided financial statement stress testing scenarios including how interest rate fluctuations and federal subsidy changes might affect our bottom line. Our board now has the information they need to make informed decisions." "SVA streamlined our largest and most complicated fundraising effort by developing an effective method of tracking inventory and sales." "SVA has a reputation in the dental community that is second-to-none. They have exceeded our expectations and truly have been a catalyst for our business." "I would recommend SVA because no question is too small. They have the same core values as BC Adhesives and we trust their opinions and recommendations." "SVA was our first phone call. They have been with us since Day 1 and without them I [Mark Nolen] don't know where we would be." "We saved $20,000 in taxes and deferred over $500,000 of taxable income with the help of SVA. They are a tremendous partner for our company." "My clinic saves over $10,000 in taxes yearly with the help of SVA. They help me improve my profitability." "We hire professionals who bring knowledge to the table that we don’t have. SVA continuously delivers a well-informed, objective perspective we value which makes us continuously evaluate our path."